Now sitting atop their own successful business ventures, three formerly undocumented immigrants are committed to spreading the wealth. He was only 17 years old but, given the trials he had already endured, he had outgrown his childhood years before. Tall and lanky, Alfredo Duarte stood at the edge of the Tijuana River. He was going to seek a better life and in turn provide for his family back home in San Pedro, Guanaceví, in Durango, Mexico. It was 1975, and Tijuana had been experiencing torrential rain and flooding, making the river level perilously high. He knew it was dangerous, but so was living in abject poverty. 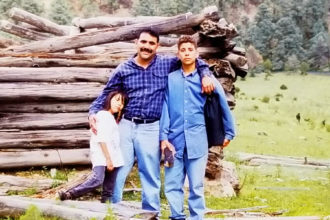 His uncle had arranged to pay a “coyote”—a smuggler of undocumented immigrants—for his nephew’s safe arrival in Los Angeles. Duarte remembers stripping down to his underwear along with other immigrants making the journey. Clothes would only cause additional risks of getting pulled down into the current. They put their clothes atop their heads, linked arms, and entered the water. Now the CEO of a $60 million food distribution company, Taxco Produce, Duarte, an American citizen, looks back with a smile and a few tears. “Being a little hungry and needy is not a bad thing. It gives you the drive to try,” he says. “God permitted me to build a company, make money,” and take care of my family. Duarte not only took care of his own, but he and his co-founder and brother-in-law, Jesse Mendoza, now provide for 108 other employees. And, he’s not alone in his journey to the American Dream. Dallas is home to a number of formerly undocumented immigrants who built successful companies. Andrea Pedraza, for example, launched her own European-style chocolate shop in Bishop Arts and now serves clients including American Airlines. Mario César Ramirez has built a chain of taquerias that employs 100 people and generates between $6 million and $8 million in annual revenue. Their stories are proof that some undocumented immigrants not only pull their own weight, but wind up bolstering the local economy. When she arrived at the border near Eagle Pass, dressed in high-heel boots—a decision she says wasn’t the smartest—she and her husband split up and crossed when the water in the Rio Grande river was low. She made it to the back of a convenience store on the U.S. side, where a group of friends were waiting. Her husband was detained by immigration for two months as authorities tried and failed to get information on the friends who’d helped the couple. He reunited with her after crossing again later. Two weeks later, she headed to Dallas to meet her father, who was in the city on a job at a meat packing company, and an aunt, who lived here. At the time, the local textile industry was “booming.” Pedraza got hired on the spot at the Melrose clothing store. She worked in the building now occupied by the Sixth Floor Museum. In all, she spent 10 years as a seamstress before her future in chocolate molded into shape. Within a few weeks, Pedraza became the supervisor of the growing shop. She took the job hesitantly, as she was still struggling to speak English, and stayed there for 24 years. When the owner unexpectedly sold the shop, Pedraza was crushed. “What would make him think I would want to work for someone else?” she says, shaking her head. That left Pedraza unsure about her next move. She began taking entrepreneurship classes as she envisioned a new dream: Opening her very own chocolate shop. But two months after transitioning out of her job, her dream became less of a distant hope and more of a necessity. 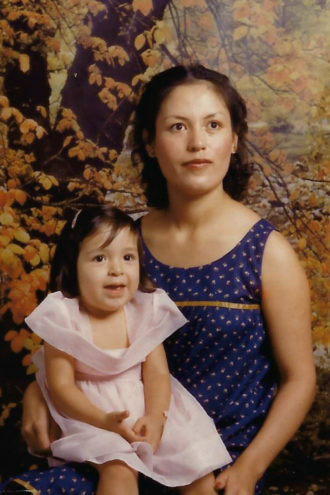 Cindy Pedraza Puente, Andrea’s oldest daughter and a single mother at the time, arrived at her mother’s house. “I walk into the kitchen and I’m crying, saying, ‘I lost my job,’” Pedraza Puente recalls. “I said, ‘OK, now’s the time” to start the chocolate business! 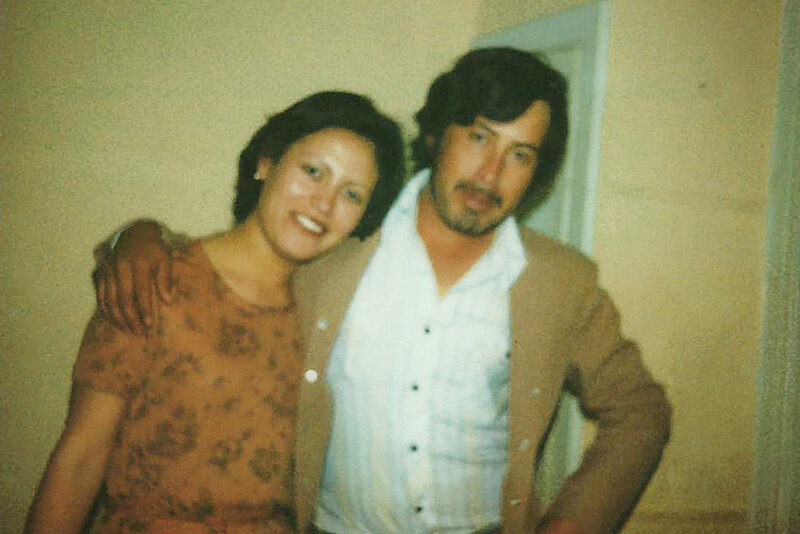 Pedraza and her husband are pictured in their first photo after arriving in the U.S. in 1978. For five years, Pedraza and her daughter grew their shop steadily, saving up to purchase their own building. They reached their goal in 2015, when the company moved into its current Bishop Arts location. The business operates out of a charming country-style house surrounded by a white-picket fence. Inside, patrons can purchase an array of chocolate concoctions, request custom orders, and relax in a space that’s adorned with Frida Kahlo décor. Now called CocoAndré, the chocolate shop recently landed its biggest client, American Airlines, after presenting executives with sample chocolate airplanes. The AA account added $57,000 in revenue and is on track to double this year. Pedraza, who received citizenship 26 years ago through the amnesty immigration reform signed by President Ronald Reagan, is grateful for all she has accomplished. Today, she’s set on helping others. In addition to growing the business, Pedraza supports other entrepreneurs by hosting a pop-up shop for their wares. “I just want to do more for everybody and make everyone more financially comfortable,” she says. Mario César Ramirez feels that same drive. The restaurateur and author hosts free entrepreneurship and business workshops for Latinos and immigrants, hoping some of the lessons he’s learned will guide others. After all, he built his company with nothing more than hard work, determination, and later, a strong support staff. Mario César Ramirez worked on a ship called The Mississippi Queen, where he improved his English. 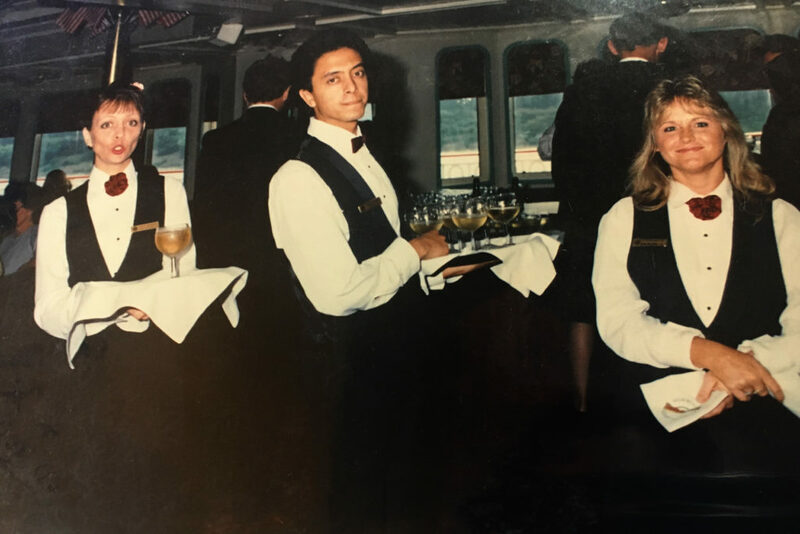 After losing his job at the restaurant, he answered an ad seeking bartenders for a New Orleans cruise ship. Ramirez was determined to see the world, even if he had no actual bartending experience. He was put to the test at his interview at the Renaissance Hotel in Dallas. The interviewer asked him to demonstrate serving champagne and making a margarita. “So I saw this white napkin there, and I put it on my arm,” he says. “I had seen that maybe on ‘The Love Boat.’ I opened the bottle, and it went just fine, perfect. … But being from Mexico, we didn’t know margaritas. They were born here. I mixed the margarita mix with vodka. She almost laughed.” Nonetheless, he set the drink down confidently. At age 23, he left the cruise ship to return to Dallas-Fort Worth and attend community college in Collin County. On the side, he worked at El Paso Cantina in Plano, near a house he and his brother rented, and cleaned offices at the American Airlines Center at night. But one nuisance continued to bother him: Buying Mexican sweet breads was nearly impossible in DFW. So with help from a bread supplier and mentor in Dallas, he opened a 450-square-foot shop in Plano called La Paloma. A little later, he found a struggling soup and salad restaurant in Plano. He took a chance and asked the owner to call him if he ever wanted to sell. It wasn’t long before he received a call from the owner, who was ready to take Ramirez’s offer. Ramirez kept all of the original assets and opened his first La Paloma taqueria as an extension of the bakery. From then on, there was one strategy: expansion. He continued to snap up restaurants, leverage the assets, and sell tacos. Some locations sizzled, while others never warmed up. Taxco’s Alfredo Duarte knows a bit about expansion, too. He sits in a conference room surrounded by animal trophies from hunting excursions he’s taken over the years. He’ll only be in this office a few months more before moving his company from the current 3-acre warehouse to an 11-acre warehouse formerly occupied by the North Texas Food Bank. Perhaps that’s what helped him get through his tough journey to the states, and to later provide for his wife and son in El Monte, California, where he made just $2.95 an hour. 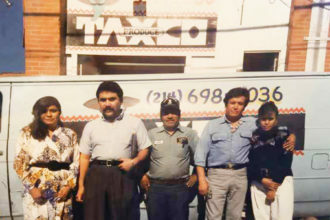 Duarte and his family came to Dallas in 1983 to move in with his brother-in-law, Jesse Mendoza, who at the time worked for American Produce (now FreshPoint). In Dallas, Duarte worked about 17 hours a day at Cisco Foods and as a machinist for another company, and lived in an apartment where he had no dishes or furniture and only a box spring for a bed. On occasion, he would visit Mendoza at work. “Jesse is one of those people who can sell anything,” Duarte says. “I saw the potential. Finally, I said, ‘Jesse, we need to start a company.’ He looked at me and said, ‘You don’t know anything about’” how to do that. But Duarte had just suffered a debilitating blow. His best friend and co-worker had taken his own life, making it seemingly impossible for Duarte to return to his job as a machinist. Instead, Duarte borrowed some money and bought an old truck. 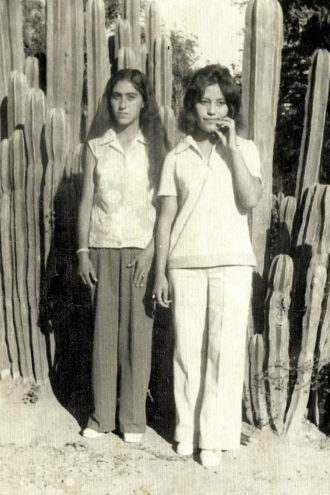 With Mendoza’s help, in 1985 the two sold tomatoes and chiles on the street under a the name Taxco Produce. Two months later, much to his surprise, Duarte convinced Mendoza to leave his full-time job. At the time, Mendoza was making $40,000 a year, owned a house, and was providing for his eight kids. “Then, this young fool is asking him to leave his job and start a company,” Duarte remembers, laughing. Together, the two slowly built their company. Today Taxco, which distributes U.S. and Mexican food products, has about 34 trucks—nine of them big rigs—and will go from six loading docks to 27 in its new warehouse.